Becoming a successful sales person is something that doesn’t happen over night. It takes practice, experience and patience. Believing in yourself and your abilities is crucial to your success. You also need to believe in the product you are selling and more importantly “understand” the product you are selling. Product knowledge is crucial to your success when it comes to selling. Knowledge is power that boosts product enthusiasm, grows confidence and assists you in overcoming objections. By taking the time to learn about our product, you will be prepared to answer any questions that may arise. Memorize all the names of the In A Pikle bags and what differentiates them from one another i.e., the different types of closures, fabrics, etc. Memorize the names of all our Paks and their contents and prices. Know what we sell a’ la Carte and where those items are located in the catalog. When you demonstrate detailed and correct product knowledge then your customer will be confident in you and the product you sell. That confidence will pay off in improved sales and commissions. 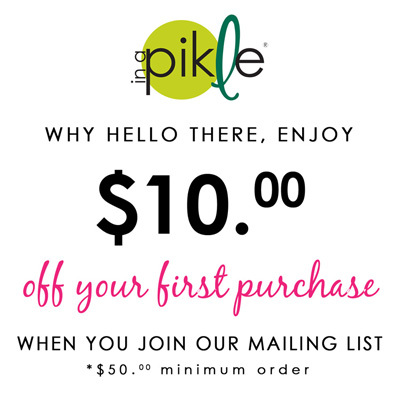 “In A Pikle” on KICKSTARTER!